I have to say I can't hardly wait for Pinot's Palette to open in downtown Spokane. I have a date with my BFF's and I'm so looking forward to it. Their grand opening on Friday, February 28, 2014. You have to go online and register for a class. I first saw this when I was in Las Vegas in January. There is painting and drinking, definitely a good thing, right? So I met the new owner and she told us all about the franchise and how it works, I immediately called my girlfriends and made set a date. I think the class if from 7-9 and they teach you how to draw a featured painting and you can order drinks while you paint. Why didn't I think of this???? We are going in March and I cannot wait!!! 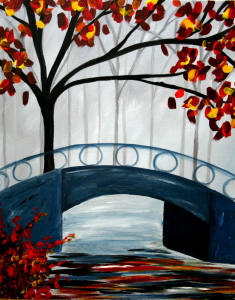 Below is the painting we will be trying to paint. I will take pics with my iPhone and post them. Intesteted to see who's looks the best. Last but not least not sure why I want to share but i will.....Here is a picture of my favorite hair products. I'm sure I will do an entire blog one day about the products I love. I already have a Pinterest board titled "products I love". Anyway back on track, some of my favorite hair products are here. Rusk Shining - It makes my hair smell great! Bumble & Bumble Pret-a-powder - it puts my hair in place and makes it more manageable. 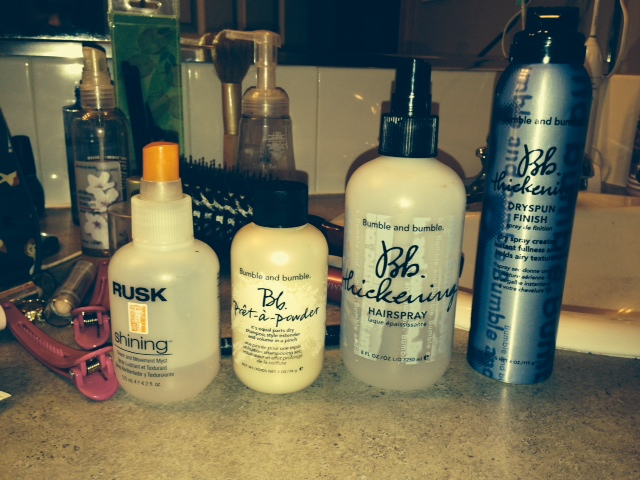 Bumble & Bumble Hairspray - Your suppose to use it when your hair is wet to help sculpt it. Bumble & Bumble Dryspun Finish - I use it to help volumize my hair. I've found I like the Pret-a-powder the best for managing a style. I also like the Shampoo Crem De coco and the Super Rich Conditioner line they have. If you haven't tried them I suggest you do. I get mine at my salon called Urbanna Spa & Salon & Wine downtown Spokane.